Individuals seeking positions in the hospitality industry or related areas often enroll in online hotel management degree programs and online hospitality degrees. The hotel industry is a leading service field in today’s economy, and those who complete related degrees are prepared for jobs in management, sales, marketing and other areas. Hotel management degrees and hospitality management degrees provide instruction on the theories of management, and a majority of programs include hands-on learning experiences. Described below are fifteen of the best online hospitality management degree programs listed according to raw affordability. All programs are accredited, and many of the schools featured on our list have received regional or national rankings with major publications like U.S. News and World Report. 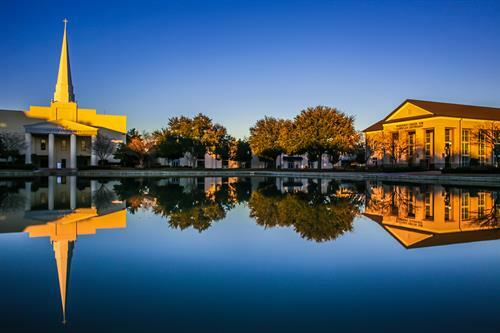 Charleston Southern University offers an online bachelor’s in hospitality and tourism. Charleston Southern University offers one of the top online hotel and hospitality management degree programs on our list. This program, along with all online bachelor’s programs at Charleston Southern, was recognized by U.S. News and World Report as a “Best Online Program” and is also affordable and accredited. The bachelor’s in hospitality and tourism may be completed entirely online. Classes are taught by university professors and include advanced marketing for the hospitality industry, fundamentals of planning and developing tourism, introduction to hospitality industry, and organizational behavior for the hospitality industry. The program is designed to prepare graduates for careers in all areas of hospitality, including entertaining, hotel management, and tourist destinations. Bay State College’s online hospitality management program is accredited. Bay State College’s online hospitality degree program provides a fast-track career preparation for those wanting to pursue hospitality management jobs. The program is available online and runs 16 terms with each term lasting eight weeks. Several start dates make it convenient to jump in and begin taking online courses that satisfy the degree requirements. These courses include conference and event planning, food and beverage operations, hotel operations, hotel sales and marketing, resort and casino management, and strategic management. The program and school are accredited. In fact, the Commission on Institutions of Higher Education of the New England Association of Schools and Colleges accredited Bay State. Grand Canyon University’s online bachelor’s in hospitality management is accredited and affordable. For those looking for a top hotel and hospitality management degree online, Grand Canyon University offers a bachelor’s in hospitality management that is both accredited and affordable. This program is offered completely online, with courses taught by Grand Canyon-approved instructors. Students take courses like ethical issues in business, hotel and lodging management and operations, introduction to hospitality, organizational behavior and management, revenue generation for hospitality, and strategic management. The program and school have received regional accreditation by the Higher Learning Commission, which is recognized by the Council for Higher Education Accreditation. 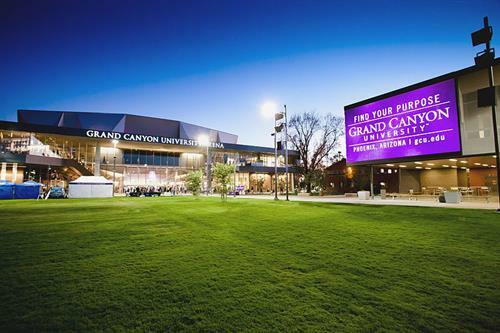 Also, GCU is licensed by the Arizona State Board for Private Postsecondary Education. 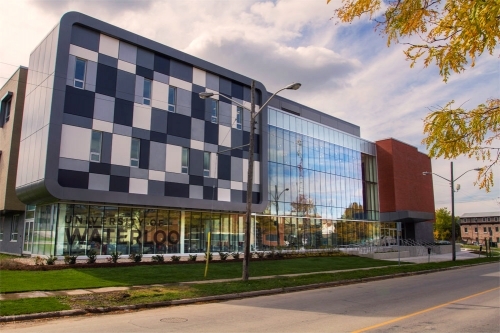 Stratford University’s online bachelor’s in hospitality management takes 30 months to complete. Stratford University’s online hotel and hospitality management degree is a four-year bachelor’s program designed to build on the core of knowledge received in the associate’s degree in hotel and restaurant management. This fully online program consist of 40 classes (180 credits) and takes approximately 30 months to complete, depending on the student’s pace. Optional specializations allow students to tailor their bachelor’s degree toward areas of interest within the hospitality management field. These specializations include advanced culinary arts, baking and pastry arts, or hotel and restaurant management. Core requirements include ten classes that cover topics like catering management, entrepreneurial leadership, and hospitality marketing. Both the school and program have received accreditation by the Accrediting Council for Independent Colleges and Schools (ACICS) to award bachelor’s and master’s degrees. 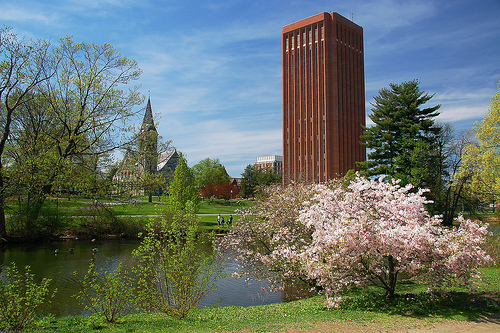 UMASS offers an online hospitality and tourism degree for undergrads. The Isenberg School of Management at University of Massachusetts offers an accredited online hospitality degree for students seeking a bachelor’s in hospitality and tourism management. The program offers a strong emphasis on experiential learning, which prepares students for real-world experience in the field. A series of core courses and electives are offered entirely online. Some of the classes seen in the program include beverage management, hospitality and tourism law, lodging operations management, and strategic planning in the hotel industry. UMass is ranked and accredited. In fact, U.S. News and World Report ranks the school #75 among best national universities and #84 among best value schools. Also, the online bachelor’s programs, including hospitality and tourism management, are ranked #24 out of more than 1,200 programs surveyed by U.S. News. 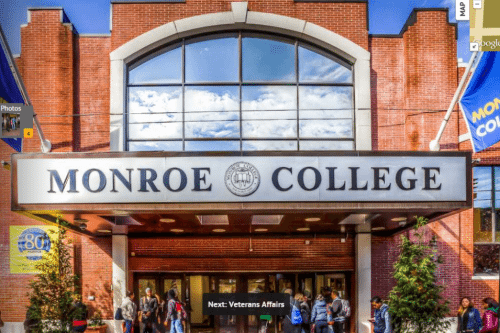 Monroe College’s online bachelor’s in business has a hospitality management concentration. Monroe College’s hotel and hospitality management degree online is a business program with a specialty in hospitality management. Upon successful completion of the program, students earn a BBA in hospitality management. This well-rounded business degree provides students with knowledge in core business principles along with exposure to the hospitality management and tourism field. Students gain the necessary skills to assume a variety of managerial positions within the industry. The program is ideal for those with an associate’s degree, as the structure of the BBA is designed to build on the knowledge obtained at the associate degree level. Monroe is ranked and accredited, as are its programs. Major publications like U.S. News and World Report rank the school as a top regional university in the South. Also, the online bachelor’s programs, including the BBA in hospitality management, are ranked #180 out of more than 1,200 surveyed programs. 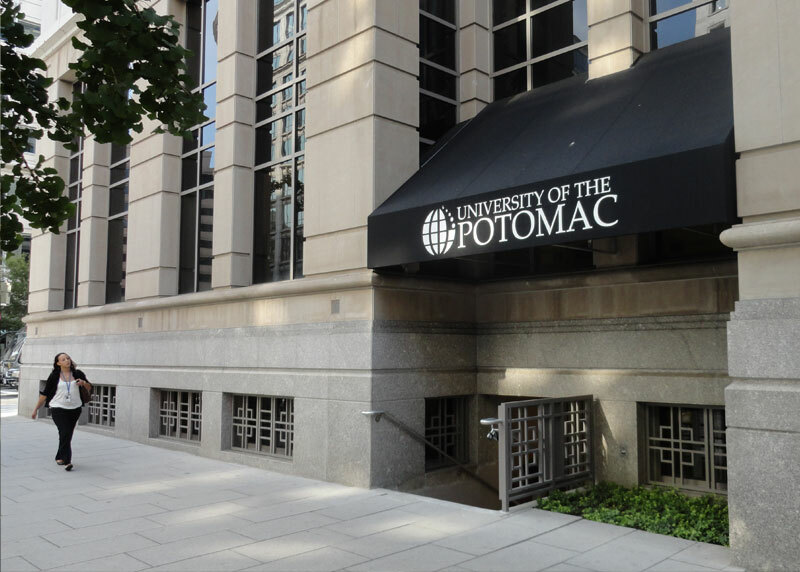 University of the Potomac has an online bachelor’s in hospitality management that’s CHE-accredited. 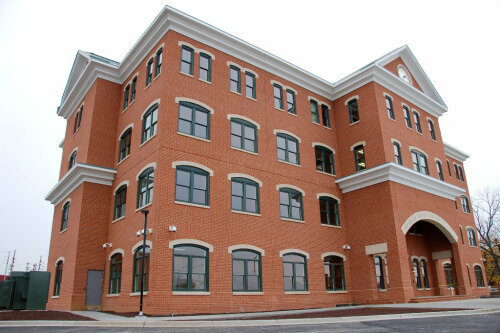 University of Potomac’s online hospitality degree is offered both as a hybrid program and completely online. This CHE-accredited program takes four years to complete and is designed to equip students with skills needed to lead in the hospitality and tourism field. Three available concentrations allow students to focus their studies on areas of interest, including hospitality management, restaurant and foodservice management, and tourism management. All classes are delivered online and include hospitality and tourism law, meetings and events management, revenue management, strategic management and planning for hospitality and tourism, and technology in the hospitality and tourism industry. The school offers one of the more affordable programs on our list. WSU online business degree offers a hospitality business management specialization. Washington State University’s hotel and hospitality management degree online program is a business degree with a specialization in hospitality. This uniquely designed program may be completed entirely online by taking classes taught by experienced WSU faculty. All courses are delivered online and run seven weeks in length. These courses include hospitality leadership and organizational behavior, hospitality systems, introduction to industry experience, operational analysis, and service operations management. As part of the program, students are required to work 1,000 paid hours in the hospitality industry, which provides networking, career connections, and recognition from corporate recruiters. U.S. News and World Report recognizes the online bachelor’s programs, including the hospitality business management degree, as the 15th best in the country. 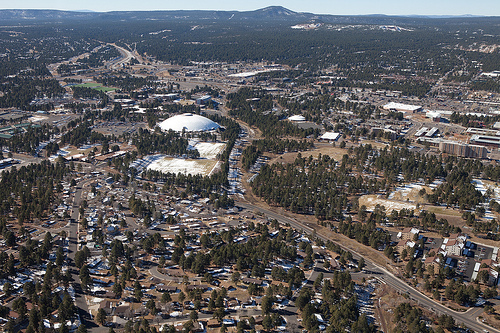 Northern Arizona University’s online bachelor’s in hotel and restaurant management is ACPHA-accredited. Accredited with the Accreditation Commission for Programs in Hospitality Administration (ACPHA), the online hospitality degree from Northern Arizona University is a top choice on our list. The online bachelor’s in hotel and restaurant management is designed for working students who want to earn an online degree while balancing a rigorous work schedule in hospitality. Students take online classes that complement their hands-on work experience. These classes include hospitality information technology, hospitality organizational behavior and human resource management, and revenue management and cost control for restaurants. Major publications like U.S. News and World Report rank the institution as a top national university. Also, the online bachelor’s programs, including the hotel and restaurant management degree, are ranked #226 out of more than 1,200 programs surveyed by U.S. News. University of Alabama’s online hospitality management bachelor’s requires a 500-hour internship. The University of Alabama’s online hotel and hospitality management degree has been recognized by major publications as one of the best online bachelor’s in hospitality management degree programs in the country. The program consists of 120 credit hours that include online classes and a 500-hour internship. Classes are delivered online and taught by the same professors that teach on campus. These classes include food safety and risk management, front office procedures, hospitality law, hospitality marketing, introduction to hotel and restaurant management, and quantity food production and service. The university and its programs are accredited, and U.S. News and World Report ranks the school as the 110th best national university. Also, several of the school’s online graduate programs have earned top 50 rankings, which may appeal to those interested in a graduate business or related degree program. Granite State College offers one of the most affordable online hotel and hospitality management degree programs on our list. 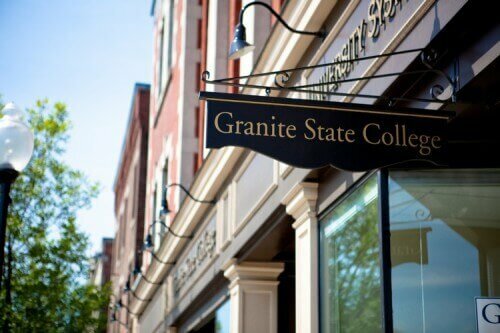 Granite State College offers one of the most affordable online hospitality degree programs on our list. Students may earn a bachelor’s in service and hospitality management by taking online courses that emphasize leadership, marketing, and project management skills. The degree requires an earned associate degree in hospitality services, tourism, or related field from a regionally accredited college or university. Courses cover all areas of the hospitality industry and include event and conference management, hotel and restaurant management, and quality management. Major publications like U.S. News and World Report recognize Granite State as a top regional college in the North. 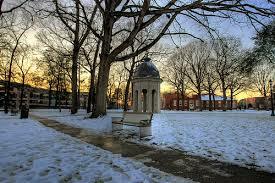 Also, the online bachelor’s programs are ranked #99 out of more than 1,200 programs surveyed by U.S. News. East Carolina University’s online bachelor’s in hospitality management is 100% online. East Carolina University’s online hospitality degree programs include the online bachelor’s in hospitality management. 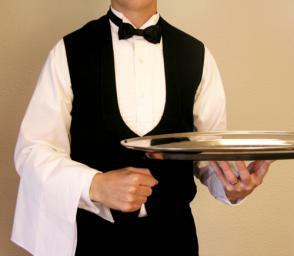 This program is well-suited for working individuals with experience in the hospitality industry. All classes are taught online by the same professors who instruct on campus. There are also three specialty areas offered so that students may tailor their degree toward career goals or personal interests. These specializations include convention and special events, food and beverage, or lodging. The program is accredited and offered through the university’s College of Business. Students may also minor in hospitality management or pursue an MBA with a hospitality management certificate. U.S. News and World Report ranks East Carolina University as a top national university and best public school. Also, the online bachelor’s programs, including the hospitality management degree, are ranked #156 out of more than 1,200 surveyed programs. American Public University’s online bachelor’s in hospitality management is accredited and ranked. American Public University offers an online hotel and hospitality management degree program that is accredited by the Accreditation Council for Business Schools and Programs (ACBSP). Classes are delivered online and taught by experienced faculty, many of whom draw on their own experiences in hospitality management. Several concentrations allow students to tailor their degree toward areas of interest like food service, lodging, meeting and event planning, and tourism. The program resides in the university’s School of Business and takes approximately four years to complete. 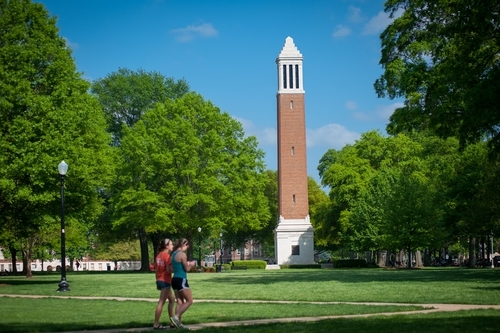 Major publications like U.S. News and World Report recognize the school as a top regional university in the South. Also, the online bachelor’s programs, including hospitality management, are ranked #92 out of more than 1,200 surveyed programs. 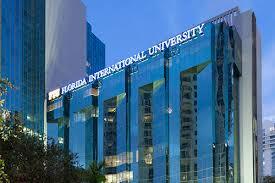 Florida International University offers a ranked and affordable online hotel and hospitality management degree program. One of the most affordable hotel and hospitality management degree online programs on our list is the BS in Hospitality Management from Florida International University. 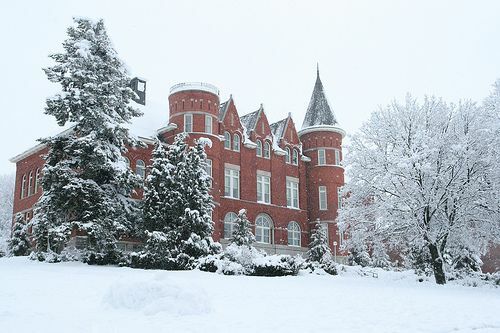 This 120-credit hour program is broken into two division requirements–60 program credits and 60 credits to meet the university’s core curriculum. All classes can be completed online and include accounting for the hospitality industry, hospitality information technology, hospitality marketing strategy, introduction to hospitality and tourism management, and introductory commercial food production. Applicants must submit their official SAT or ACT scores and official high school transcripts. U.S. News and World Report ranks the school as a top national university and best public school. Also, the online bachelor’s programs, including hospitality management, are ranked #54 out of more than 1,200 surveyed programs. 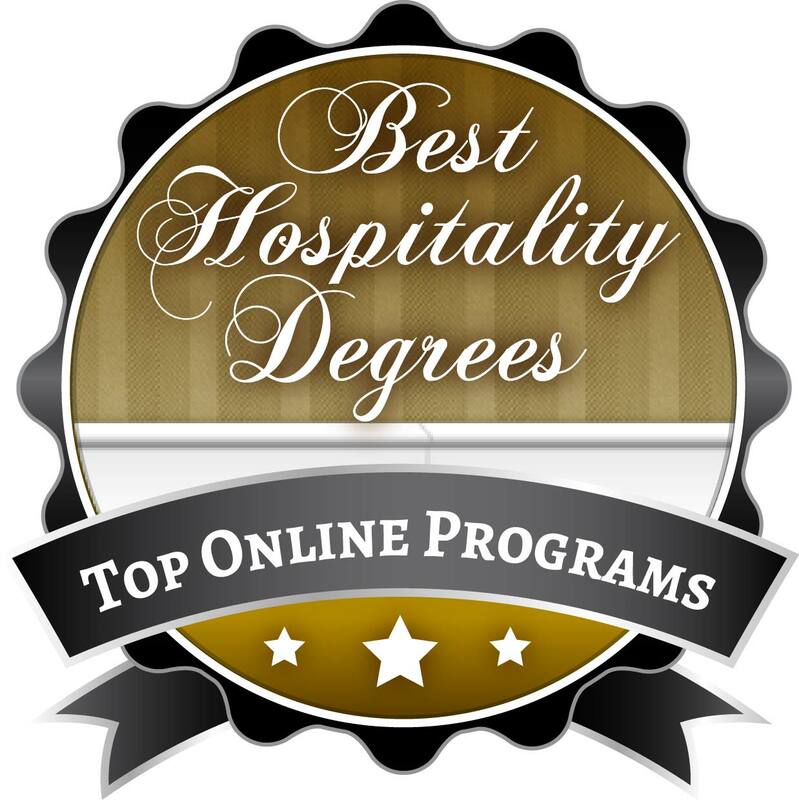 Fort Hays State offers the #1 most affordable online hotel and hospitality management degree program on our list. 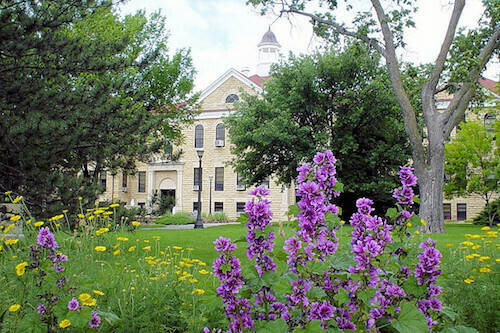 Fort Hays State University’s online hotel and hospitality management degree program is designed to prepare undergraduate students for management careers in tourism and hospitality industries. All classes are delivered online and taught by the same professors who instruct on campus. Three available concentrations are offered so that students may tailor their degree toward areas of interest or to meet career goals. These concentrations include event management, health and wellness tourism operations, and hospitality operations. Some of the classes offered in the bachelor’s program include introduction to leadership concepts, management information systems, and principles and practices in tourism and hospitality management. Major publications like U.S. News and World Report rank Fort Hays State as a best regional university in the Midwest. Also, the school’s online bachelor’s programs are ranked #15 out of more than 1,200 surveyed programs. 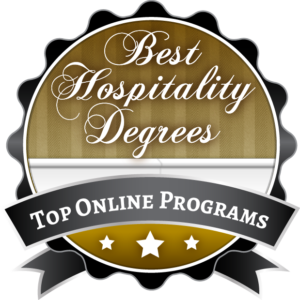 This concludes our list of the top 15 best online hotel and hospitality management degree programs for 2018.